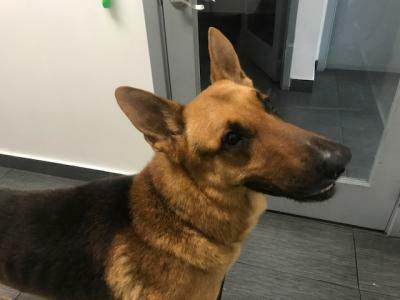 LUCASHASAHOME - Southwest Florida German Shepherd Rescue Inc.
LUCAS (formally Cpt Miami) came in about 3/20/2019. He has been fostered in Port Charlotte with 5 other GSD's in the same pack by Sue and Claude. He has bonded with Claude and will transfer that bond to a new family. 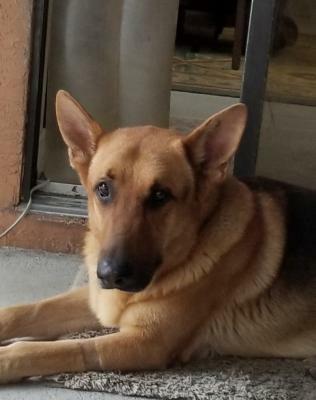 He is a handsome well socialized neutered male GSD. We know that he is a strong dog mentally and physically and requires a strong leader mentally and physically. He did challenge the pack leader (dog) and was told what his place is and now he seems more ready to assume that role. Once he has his own family we think he will be the alpha dog. He does understand correction and Sue has made certain he knows whose boss. 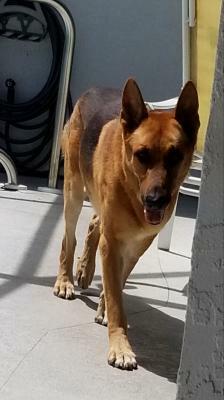 He is about 4ish or less years old and was transferred to us from a small dog rescue in the Miami area. They rescued him from the street and because of his condition at that time chose not to use the MD shelter as they would have not done right by this gentle dog. 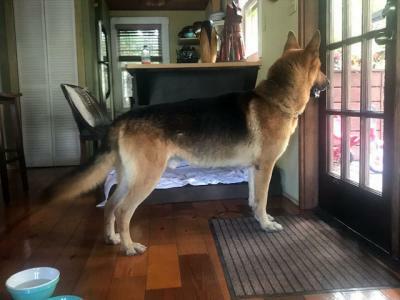 He has gained weight fast and tips the scales at about 75 pounds; but should weight between 85-90 according to the Vet and his frame. He was with the small dog rescue for a month and has consistently been going to doggy day care. He has interacted with dozens of dogs of all genders and breeds and has been a perfect gentleman. We have seen in his foster relationships that he will try and become the alpha if you permit that. He needs to be kept under control and to learn his place in the pack. The small dog rescue felt that they did not have the following or client base to rehome him and relinquished him to us. He is neutered and up to date on shots and he is Heartworm Negative. They really went out of their way to turn his life around and now we want to find him a forever family. He is black and tan and quite handsome. He has been with kids both young and old but is untested with cats as far as we know. 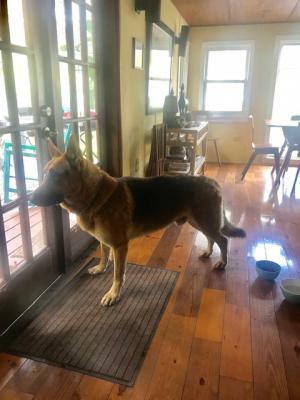 He is housebroken and very gentle, crate trained and responsive to leadership and correction. If Lucas would fit in your life please give us a call for a meeting. 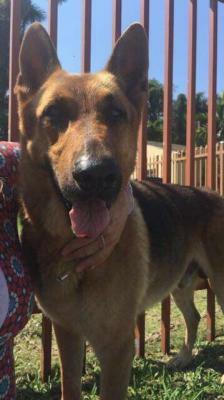 At present he is being fostered in Port Charlotte. Lucas is available for immediate adoption.